You’ve most likely already heard about the amazing powers of Apple Cider Vinegar. From helping weight loss to preventing heartburn. 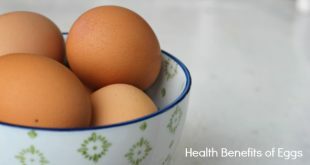 From boosting energy to stabilizing blood sugar (really awesome for Type 2 diabetics!!!). From preventing tumors to lowering blood pressure. It’s kind of crazy what apple cider vinegar can do, right?! And many of these health claims are even backed by scientific studies. Combine that with a lot of apple cider vinegar personal experience and I say this stuff is pretty legit. ACV is one natural remedy that I swear by! ….I really could go on and on. It’s pretty amazing stuff! Just an FYI — make sure to get Apple Cider Vinegar with “The Mother,” which are strands of proteins, enzymes and beneficial bacteria. THIS is the kind that I use — you can usually find it at most grocery or health food stores. But the not-so-great news is that apple cider vinegar has a really strong taste and smell. A few years ago, after discovering all the benefits of ACV, I tried doing shots of ACV. Yep, pure shots of ACV before some of my meals (please don’t try that!). It lasted a whole…….week. And while I felt great that whole week (seriously, I felt so amazing that week! ), the taste and smell were so strong that I literally couldn’t even stand to smell ACV for a whole year afterwards without it making me want to barf. But I couldn’t deny how amazing I felt when I consumed a small amount of ACV daily, so I decided that I must create an apple cider vinegar drink recipe that I would actually enjoy. 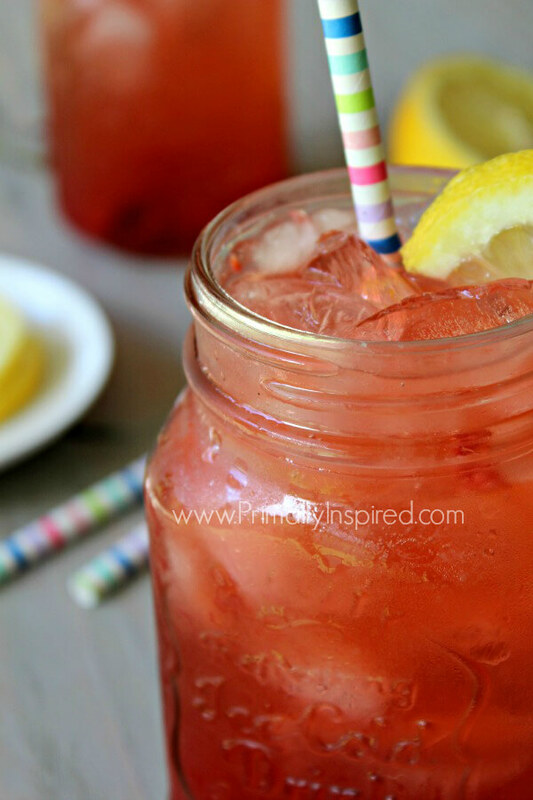 And this Berry Lemon ACV Drink is just the ticket. It’s super refreshing and it’s so delicious that I actually look forward to it each day. If you are like me and struggle with the taste of apple cider vinegar, but want to experience it’s many benefits, this drink recipe is for you! In fact, it’s one of the best drinks you can drink for your health! It’s best to drink this Berry Lemon ACV drink before your meal. That way it will aid in the digestion and assimilation process, prevent heartburn, and will help stabilize your blood sugar! I swear by this! 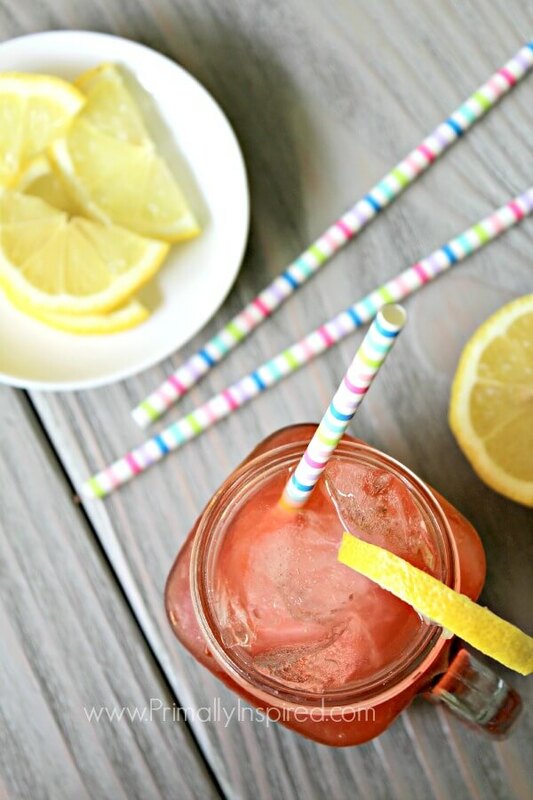 If you can’t stand the taste or smell of ACV, I hope my Berry Lemon ACV Drink recipe is just the ticket to get you to finally experience and enjoy the many health benefits of apple cider vinegar. Are you an apple cider vinegar fan, too? Let me know the ways it’s helped you in the comments! Apple Cider Vinegar never ceases to amaze me so I’d love to hear how it’s working for you! Place the berries in the bottom of a cup. If you are using a sweetener, add that in now. Muddle the berries and sweetener with the back of a spoon. Add in your ACV and lemon juice. Fill the cup with ice and add in enough water to fill the rest of the cup. Stir and enjoy! Have just found your site this morning. Ive made a big bar of chocolate added some chopped fresh ginger and just had a tiny square oh so yummi. Made your drink as above but blended some black grapes so nice. I always take a pint glass of water to bed with ACV in it, every night, so used to the taste, will add a tiny bit of lemon now. I also use it as a toner on my skin. Rinse my hair give a great shine, and keeps my scalp free of dryness. You are AMAZING! I don’t know how you keep coming up with all of these wonderful ideas. I had just finished a juice, but I had to try this. I put all of the ingredients into the Vitamix and gave it a whirl, it was fizzing up like a soda when I poured it out and it tastes delicious…as well as all of the health benifits!…nice for those hot summer days. Thank you! PS DO you know how long Braggs stays in date? So glad you like it, Patricia!! 🙂 According to the Braggs site, it has a shelf life of 5 years (just for FDA purposes), but according to them, as long as you keep it out of sunlight, it can keep indefinitely. Another yummy way to drink it is with Berry herbal tea. Just make the tea really strong, pour into a jar, add lime juice, sweetener (if desired), ACV, and ice. Shake it up and it tastes like cherry limeade! Oh I love that idea! Thank you, Kristin! I haven’t tried this yet, but I drink a cup with warm water every morning with 2 tbs. ACV and 2 tbs. honey first thing in am. So good for you. I drink it like tea. Drinking it this way, has it made you lose weight. how often do you drink it. How would you go about making like a 2 quart pitcher to keep in the fridge? Sounds good. Okay I am starting the weight loss tonight. I am getting married in August and I want to look great. Any advice will be good. I didn’t again it all at once so I don’t expect to lose it all at once. WOW! I have been trying to drink ACV and having a hard time getting around the taste and the smell! Mixed up this drink and it is delicious. Thanks for posting this! Wow, I can’t wait to try this! I am a huge fan of ACV, and always have a big bottle of Bragg’s on hand. My grandmother used ACV for everything, especially a sore throat. If my kids or husband get a sore throat, I mix ACV and raw honey with water and they sip it through the day. It never fails. The berries and lemon sound like a great addition. It could be a good alternative to my afternoon iced coffee with coconut milk. Just had to get back to you and tell you how much I LOVE this. Reminds me of kombucha but much easier. (I made my own for awhile but it got totally out of control!) I used frozen organic blueberries and a tiny bit of liquid stevia to sweeten. So delicious and refreshing. Awesome!!! It does remind me of kombucha, too! I was a kombucha making fool all last summer (I still have my SCOBY in the closet and it’s HUGE – the size of a football lol), but I realized kombucha wasn’t really doing my body any good. I started noticing some negative things from it so I stopped drinking it. It turns out, I had a yeast overgrowth (super common! I’ll blog about it soon) and the kombucha was helping feed it (also super common – a lot of holistic practitioners actually really dislike people drinking daily kombucha for this reason – I didn’t know that before!). I’ve been on a candida cleanse and wow, what a difference! Daily Apple Cider Vinegar is highly recommended on candida cleanses to kill off the candida and bad bacteria. So this drink is like the best of both worlds to me 🙂 So glad you like it! I have an overgrowth of candida also. I want to make this, but I am super rushed and busy everyday. Could I make this at night, put it in the refrigerator, and drink it in the morning? Or would it be too bitter by then? No that should be perfect, Laura! You could even make a pitcher and drink through the week. I would strain the berries/fruit after a day, though. I am trying to add more fermented foods into my diet. Would this apple cider drink be considered an alternative to kombucha? I am not a fan of sauerkraut and other fermented vegetables and turned to kombucha to get some good gut bacteria. However, I don’t like the sugar content in most commercially available brands and am not ready to start making my own. 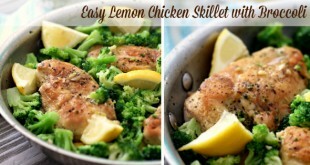 I tried this recipe and really love it. So, apple cider vinegar- fermented food or not? Yes! It’s an amazingly awesome fermented food and a wonderful source of beneficial probiotics (as long as it hasn’t been pasteurized and still has the mother!). It’s funny you posted this right now, since just this week I started adding apple cider vinegar to my daily water/psyllium husk mixture. I’ve known about the benefits of ACV for a few years, but I haven’t gotten into the habit of drinking it regularly. So this recipe will really come in handy! I’ll buy lemons today! I can’t believe you were taking shots of pure ACV! It’s too acidic to drink straight; you can burn your throat! It has to be diluted. I think I read a tablespoon of ACV should be diluted in eight ounces of another liquid. I know, what was I thinking?! No wonder I couldn’t stand to smell it for a year after that little episode! Hope you enjoy this, Esme! What a great idea… Im going to try it right now. 🙂 I usually have a glass of ACV with honey in warm water before bed but this sounds refreshing for before lunch time in middle of a hot day! Thank you for these wonderful recipes. Hi Kari! 😀 Hope you like it! P.S. Aren’t these the cutest Type 1 straws?! I love them! Yum! Can’t wait to try this. When I first started using ACV, I took shots too. Lately, I’ve been mixing it with lemon ginger tea and stevia. Thank you Kelly for this wonderful recipe. I’m going to try it this evening and hope to get my husband to try it as well. Think the combination of all including the ACV is a great thing to have in our arsenal. Enjoy, Louise! Hope the husband joins you! Hi Kelly! I started taking ACV about a year ago. I love it! I just mix 1 tablespoon ACV, teaspoon Maple syrup and about 4 oz of water. It makes me feel better when I remember to take it! Thanks for the great recipe. you could replace maple syrup with a squirt of liquid Stevia to lower the sugar content as Stevia doesn’t raise your blood sugar. 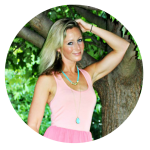 Really love this blog Kelly! Thank you so much for sharing. A simple question: apple cider vinegar is the same that apple vinegar? But must have the mother! This looks good! What size cup do you use? 16 oz? Hi Gwen! I usually use around a 16 oz cup size. I gave this a try yesterday. It wasn’t bad. I could still taste the acv but wasn’t like the normal punch in the face-ha! I’m going to try blending up the raspberries, honey, acv and lemon before adding the water and ice. How much acv would one have to consume daily to get the boosted energy benefits? Thanks for sharing this. I love your post. Hey Elizabeth! 1 tablespoon daily is usually the general recommendation. Hey Laura! One tablespoon a day is the general recommendation, but if someone is struggling with heartburn or digestive issues, they may find that consuming 1 tablespoon of acv (this drink!) before meals will really help. It did for me in the past! Did not have any ice ready but decided to make it anyways….not bad at all. Just put it in the fridge to get it colder. Might add some stevia. Will be a refreshing drink this afternoon. Thank you so much for sharing! Thanks for the comment, Nicole! Thank you so much for this recipe! I’m pregnant currently with twins and have the most awful heartburn. I’ve tried doing the shots before and it helps, but wow is it horrible to get down! I haven’t been able to find a more natural way to deal with heartburn, so I am thrilled to have tried this and truly ENJOY it. And bonus, more benefits for the babies too! Woo, love hearing that, Honey! And how exciting – twins!! 🙂 Congrats and I wish you the healthiest and most comfortable rest of your pregnancy! Take care!! Just saw this recipe for ACV with lemon and berries today and I made it this evening. I used a couple of frozen raspberries and blueberries and I loved it. It’s very refreshing! I am so thankful to have finally found a way to get ACV into my diet. Thank you! Thank you! Makes me so happy to hear, Carmel! Can you use regular apv in the drink and add more than 2 tbls of fruit? Hi Cheryl, Yes you can add more than 2 tablespoons of fruit. The large majority of beneficial properties of apple cider vinegar are mostly because of the mother, so I would stick to getting ACV with the mother. The other apple cider vinegars have been pasteurized, killing off those beneficial enzymes. Hi Evie! I personally just drink this once a day. I take it either before my lunch or before my dinner. It does give me an energy boost so I try not to drink it too late in the evening. The general recommendation for how much acv to take daily is 1 tablespoon. If someone has heartburn or digestive issues, they may see a benefit in drinking this drink before every meal and then lessening the amount they drink it as their conditions improve to just once a day. In the past, it really helped my digestive issues when I took 1 tablespoon of acv before every meal. Hope that helps! Sounds yummy! I will have to give it a try. I have been drinking 8 ounces of water with 2-3 tsp of Bragg’s ACV each morning before breakfast. I actually enjoy it without any honey or sweeteners. It has kept me off medication for “stomach sizzle”! Adding berries and lemon juice sounds like a refreshing summer afternoon drink, a nice alternative to iced tea! Love hearing that acv has kept you off some medications, Diane! So cool 🙂 Hope you enjoy this! I’m one of those people that can’t stand the taste of ACV so I don’t drink it ever despite its many benefits. I will have to try this. Thanks for the recipe! Hope you like it, Sophia! Ok, I saw this on Facebook the other day, and since I’ve been feeling pretty awful all around lately, I decided to try this. O. M. G. It is fantastic!!! I could seriously drink this all day long!! I absolutely love it – thank you so much for sharing it!! So cool! Thanks for the comment, Jessica! Hope it makes you feel better, too! ACV for allthethings! Hope your boys approve of this, Karen! Stacey, ooo! Love that idea! Yes, that would be a great thing to do. Love this drink. I’ve been making 4x the batch in the blender then pouring into old GT kombucha bottles and leave in fridge so it’s always ready and cold. 8 months preggo and this has helped majorly with my heart burn. So far I’ve made it with raspberries and with blueberries. Everything that I’ve tried from your blog has been amazing. Last night I decided I’m going to try each thing you post. As long as I have the ingredients. Doing the coffee and coconut oil after the gym today. Thank you so much for this recipe! I have been taking ACV whenever I feel sickness coming on but I’ve started taking this drink daily. It’s been a week now and what a difference! I am 8 months postpartum and this drink has helped immensely with my emotional health as well as digestion. I’ve been free from horrible heartburn and acid reflux that had me popping Tums after every meal. I also feel that energy boost for sure. It has been a game changer for this momma of 3! Thank you!!! So cool, Shayla!! Love hearing this! That’s sound healthy and delicious..I really want to have ACV but there’s no way I can buy here in my place..and in internet very expensive…so sad. Your recipe sounds great. I will be giving it a try for sure! I have been eating a clove of garlic and drinking it down with a swig of ACV out of the bottle every day. I have not had an all-out, put-me-on-my-rear cold since 2001. But your recipe sounds like it would be a nice change. PS… The only thing my doctor advised is not to take the garlic/ACV on an empty stomach. Also, I am going to try your recipe for homemade ACV. Love ACV!!! It’s done wonders for my scalp and hair so thought “why not? Lemme try for the inside!” This drink was surprisingly good, however it still has that bite to it. Is it ok if I add more fruit? Also, how much ACV should I be ingesting per day for full benefits? Awesome! Yes, you can definitely add more fruit 🙂 1 tablespoon of ACV a day is the general recommendation. 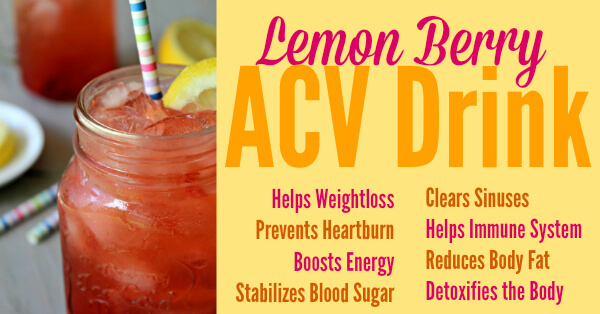 I like this Berry Lemon ACV drink but I would like to know how many cups of this recipe do you drink daily? Hi Brenda! I just drink 1 glassful amount (about 12 oz) each day. Good morning. Can extra be made and stored in the fridge for a couple of days? What if you don’t like raspberries or blueberries? Can an herbal tea be used instead? when consuming the ACV drink before meals, is it necessary to mix with berries and lemon. I like just the ACV and filtered water but if there’s some other benefit? Hey Rob! No, totally not necessary! I just hated the taste of ACV and this way was the only way I could get it down lol. But more power to you for liking it with just ACV and water – that’s great! Day 2 of your Lemon Berry ACV drink. Thank you. I had one drink yesterday and tried two today. The second one today was harder to drink. Ha. I’m sure my ratios were different. Is once a day ok or would you suggest more? Thank you for sharing. Hi Samantha! Once a day is perfect! If you have digestive issues, you might find it helpful to drink it before every meal (or just drink 1/2 a glass before every meal). This sounds amazing. I have been trying to start drinking ACV but I just could not get past the taste and smell. I’ll be making this in the morning…. so fingers crossed 🙂 I’m also including it in my Summer Berry Recipe Round up! I love ACV. I have been drinking 2 tbsps with a little bit of honey and cinnamon and 8oz of warm water every morning (which actually tastes somewhat like apple pie!) and it has helped SO MUCH with my energy levels and heartburn. Your recipe sounds wonderful and I definitely want to try it! Really hate ACV…but this was pretty good! I have a lot of food allergies and skin conditions that are gut related and I’m trying to do all I can to help counteract the damage. Thanks for this recipe that made it a little easier! I have horrible heartburn, had surgery a year ago and now it’s back again :(. I’m going to try this before meals to hopefully help with my heartburn. I drink one regular can of soda a day and a ton of water and after trying this today I think it’s safe to say I can finally give up my soda and double bonus hopefully reduce my heartburn following meals. This is a delicious drink, so refreshing!!!!! I’m thrilled about getting rid of all those empty calories in my soda all the while still getting to have something flavored and super yummy with added health benefits. This is a definite must try people!!!!! Chrissy, this makes my day!!! So glad to hear it’s helping kick your soda habit and I’m wishing you much healing from your heartburn issues. Thanks for leaving me a comment! Chrissy, are your heartburn issues any better? I’ve recently been diagnosed with severe GERD, and it’s making my life miserable. NOTHING has brought me relief. I’m on a mission to heal my gut (because I know the Omeprazole I take probably isn’t helping my gut) and I’m doing my own research to find natural ways to treat it. Like you, I was on a mission to try to take ACV without getting sick of it. I finally found my go-to. I use any of the Slender Stick flavors and I add 1 packet of stevia and 1-2TB ACV. Add some ice and you have a great-tasting, simple and refreshing drink. Note, I only use a couple of brands of stevia. Most of them don’t sit right with me. Try this and enjoy! Thanks for the tips, Lisa! Hi, I csan’t wait to try this! I’m finally gonna whip some up today, my question is can I make a big batch to keep in the fridge? I can’t wait to try this! Another thing that ACV helps with is Gallstone pain! I had the absolute worst gallstone attacks where I would be curled up on the floor for hours with zero relief. They would say I had to wait it out because nothing takes the pain away but that’s not true! Whenever I would feel an attack coming I’d drink about 2-4 tbs diluted in water and 30 minutes later the pain would be completely gone. I started drinking it daily and haven’t had an attack since! AMAZING STUFF FOR SURE! I can’t wait to try this! I use ACV to ease inflammation of arthritis and to fight bladder and kidney infections but I hate the taste. I also put ACV on pre-cancerous spots on my skin and even on skin tags. The pre-cancerous spots get a little blister and go away (I have been to a dermatologist who confirmed that they were successfully treated) and the skin tags turn black and fall off with out pain. For both of these, I put a small amount on a piece of a cotton ball on the places and cover with a bandaid. ACV is so great!!! Thanks for sharing your story, Gail – too cool! What other kinds of sweetener can you use besides raw honey? Also, can you make multiple servings and save it? Or is best to mix right before drinking it? Yes, you can make a big batch and save it! can this be made in a larger quantity and just add the ice and water each day to your glass? Delicious and refreshing! I’m going to be happy to drink this every day. Do you know anything about ACV damaging enamel over time? I’ve heard it recommended to use a straw to spare your teeth. Thoughts? Experience? Thanks! Hi Becca, Thank you for bringing this up! Yes, straight ACV is really acidic and like anything acidic, it can be damaging to your teeth over time. This drink is quite diluted, so it’s not nearly as bad, but drinking through a straw wouldn’t be a bad idea at all! I have been drinking it for 3rys, first just with watrr,not easy but doable. I read an article about it helping with muscle spasms. I had helped a friend lay a wood floor, oh how I hurt all over. Drank it that evening and woke up next morning to do daily chorse, critters, and walked to the kitchen then realized I just walked to the kitchen. LOL no pain and no real aches, shocking results. I have been adding one of the cranapple or cranberry mixed juices to it with water. That has helped me get it down, but maybe I am doing too much. You recommend just 1 Tbls? That should be much easier. Also for any of you with Fybromyalgia it helps a bit. Depend how bad you have it. That is awesome, Katheryne! Thank you for your comment! Is this freshly squeezed lemons for the 1 TBS? or bottled lemon juice? You can do either, Sher! I personally prefer the freshly squeezed lemon. I used blueberries instead of the raspberries this morning and unsweetened peach tea instead of water this morning… Yum! Oh I do use a little stevia too. ooo! I love your ideas, Marla! Thank you for sharing – can’t wait to try! How often do you drink this and when do you drink this? Hi Jen! 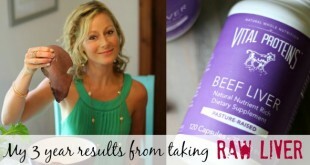 I usually drink this about a half hour before dinner – for me, it’s really helped with my digestion. But you can drink it anytime – it makes a nice substitute for sugary beverages. If you are looking for digestive support, drinking it about 1/2 hour before meals can really help. I had been drinking ACV off and on for over 30 years now. My dad got us on it when I was in high school, lately I started back every morning with 1 tablespoon of ACV and honey that is for my home town(best honey for allergies) 1 tabelspoon also and then half inch of warm water to help the honey. I do this first thing I. The morning before anything else. ACV has been area for a long long time. It also has antioxidants and helps boat memory etc….. Good stuff, been months of good drinking: lol.. Good luck to everyone who starts ACV!!! So cool, Jackie! 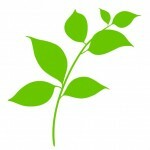 Thank you for sharing your ACV love, tips and experience! I just made my first glass this evening but I only had lime juice. It’s really tasty so tomorrow I’ll get lemon juice and compare. Thank you for the great recipe and all the ACV information. Wow, I need to try this for my husband, and myself! I have a question, though… How often do we have to drink this? Is it safe to drink everyday, or is it once a week, or every other day? Every day is perfect, Naomi! To piggy back on Naomi’s question, is it once a day or at every meal? Hi Poppy, I personally drink it once a day, but if you are dealing with any digestive difficulties (heartburn, acid reflux, etc), drinking it before every meal has shown a lot of positive benefits and success with many people. Thanks! I’m going to try this as soon as I can get to the store and buy some berries. I’ve drank ACV with honey and water in the past, my oldest daughter swears by it whenever she gets sick and my u ounces used to drink it at bedtime saying it helped her sleep. ACV will prevent and stop gallbladder attack. Taken it for years . Glad have recipe to make it easier to drink. So happy to hear, Jody! I hope you receive some of the many healing benefits! I started drinking ACV with water a few months ago for severe reflux. Then a bonus, i have had knee problems my whole life and was having a few weeks of severe knee pain, but after starting my ACV my knee pain was gone and hasn’t returned! Also helps keep my blood sugar regulated, I’m diabetic but not on medication because I control with diet and exercise. My A1C numbers are staying in a perfect range. I love mixing ACV with warm tea when in the cool months but look forward to trying this recipe with warmer months ahead. Not a fan of lemon so will definitely use lime! Thanks for the recipe, will be sharing with family and friends! ACV and warm water drink it in the morning and evening for yeast infection. Works great. I can’t w as it to try it your way. I usually do ACV, honey, lemon and warm water. It has so many benefits, but I originally started to keep my PH balanced. Hello! I’m very new to this! What other berries can I mix with the raspberries to give it more of a fruity flavor? I know I’m going to need that extra flavor kick. How about strawberries? Thank you in advance! I love adding strawberries to this, Sarah! They are my favorite 🙂 Enjoy! Just wondered if you should shake it up before each use to mix in the mother, or would that be necessary? Yes, I would give it a little shake before each use. Hi Kelly, just came across this pin & I must say the drink sounds awesome. Had a quick question. 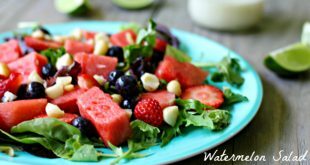 Can I use any other fruits, like pineapples, oranges, sweet limes etc or does it only have to be berries ? You can definitely use other fruits, Dilnaz! All your suggestions sound lovely with this drink! Enjoy! Thank you for this recipe. I have recently started on my weight loss journey, my husband suggested I try to drink apple cider vinegar. I didn’t think that I could stomach it but I have just mixed up my first batch and am happy to say that I didn’t mind it at all…lol quite refreshing! Thanks again! Just tried this and it’s delicious even without sweetener! So glad I found a recipe that doesn’t use surgery juices! I use ACV everyday! But I actually do take a shot that isn’t bad at all, it taste like an apple cider lemonade. I use a cap full of ACV, about a teaspoon of raw honey, I squeeze about a quarter of a fresh lemon, a dash of cinnamon and about a quarter of a cup of cold water. You can take this before every meal or do it once in the morning and once before sleep, like I do. It’s a shot so it takes no time to drink and no time to make. Even when you’re in a rush out the door, it takes second to make once you get the hang of it. It’s amazing! Awesome, Kylie! Thanks for sharing! Has anyone lost any weight using this drink? I read all of the comments and didn’t find what I was looking for. I am really trying to reduce fat around my stomach/abdomin/pannis area. Will this drink help with that? Hi Janice! My brother lost 30 lbs a few years ago just by incorporating ACV in his diet before meals. He used this drink most of the time, but sometimes when he was running out of time, he just took a tablespoon of ACV in water (yuck ha!). He said he did nothing else different – just added ACV before his meals. I was so impressed! I know it helps digestion and as a result of improved digestion, weight usually balances to a normal/healthy level…but honestly, I never expected 30 pounds of weight loss from him – that’s a lot! Readers — Does anyone else have experience with weight loss from ACV? I’d love for you to comment!